At Lessons Learned Simulations and Training, we believe that learning is a process. What Do We Do? LLST offers both open-access training courses and bespoke on-demand training modules, with a methodological emphasis on interactive simulations and activities. Trainings vary in style, content, and duration, and can be designed to fit your specific needs. Our simulations require participants to step into the shoes of these stakeholders, to consider the unfolding of a crisis from different points of view. How might refugees see aid packages and the method of their delivery? Why do donors fund one project and not another, despite the recommendations of UN agencies? Where do information flows break down, and why? Via detailed briefings and dynamic logic models, students learn to analyse events the way that different groups of affected people do, to better ensure that humanitarian response efforts are built on common goals. Learn more about LLST educational products and services. Why Simulations? By highlighting immersive learning over static teacher/student oriented lectures, our trainings promote independent thinking, critical engagement with humanitarian norms and assumptions, problem-solving skills, and nuanced understandings of the political and social dynamics of humanitarian relief efforts. We help trainees better understand the complex and intersecting motivation of various stakeholders, including various aid actors, host governments and their constituents, local CBOs, donors, and—most importantly—the “beneficiaries” whom we serve. Learn more about the benefits of the LLST simulation-centered approach to humanitarian training. Who is this For? 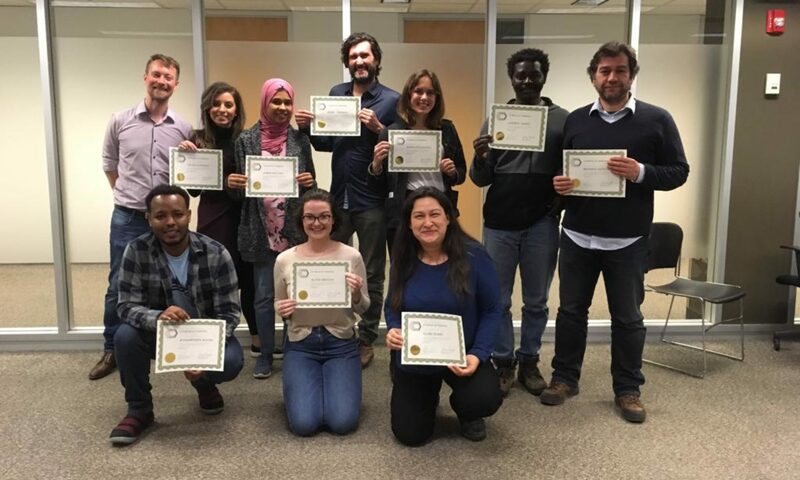 Whether you’re a prospective or long-time humanitarian aid worker, looking for learning solutions as an individual or a team, LLST can help you reach your humanitarian training goals. Maybe you’re just starting out—our simulations give you the chance to experience the hectic pace of your new career and to apply the techniques you have read about. Maybe you’re an established sector expert—we can give you the space to experiment in a consequence-free environment and help you break out of your silo in order to see your work from another point of view. Who Are We? LLST is a small team of critically engaged aid workers straddling the line between field work and academia, who strive to contribute to the improvement of humanitarian best practices. Our careers have specialised us in a dual study of the micro and macro dynamics of refugee crises, from the day-to-day challenges of refugees’ lives to the social, political, and economic upheavals of mass population movements. We are humanitarian aid workers, trained in critical doctrines, who have seen the best and the worst of humanitarianism—often in the same place. We see the tensions in our work: even when operations go wrong, it would (almost always) be worse to do nothing. After years of working together to make the world a little bit more humane, conducting research and managing aid projects—turning over rocks and having our own rocks turned—we created LLST to help share what we have learned. Lessons Learned is a social enterprise: we harness the flexibility of the private sector to quickly and efficiently support the humanitarian goals of NGOs and the United Nations. How Do I Get in Touch? Glad you asked! Write us at info@llst.ca for more information or a quote.